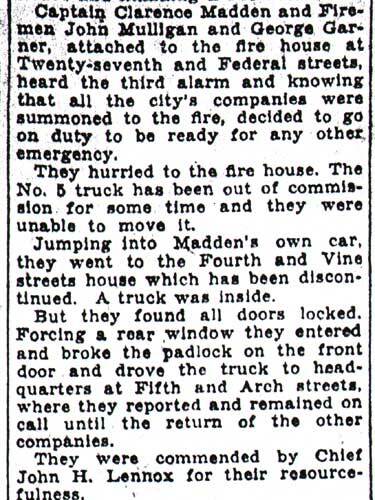 This page and the other pages in this series are the successors to the series of web-page about the Camden Fire Department called Camden Fire Department: The Fires of the Summer of 2011. 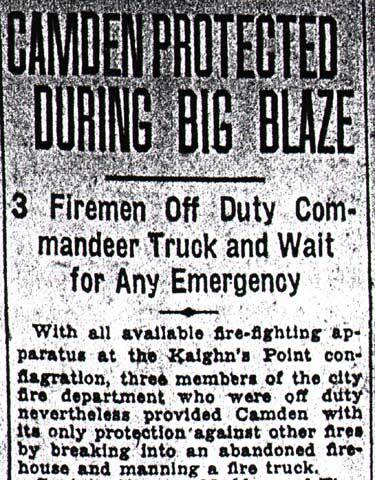 On this and other pages in the series you will find pictures and information regarding different events and aspects of the fire service in Camden, New Jersey. 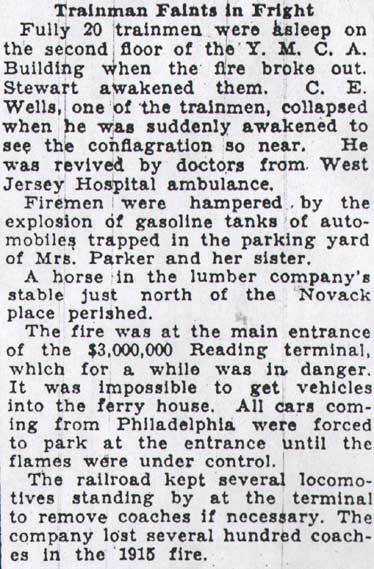 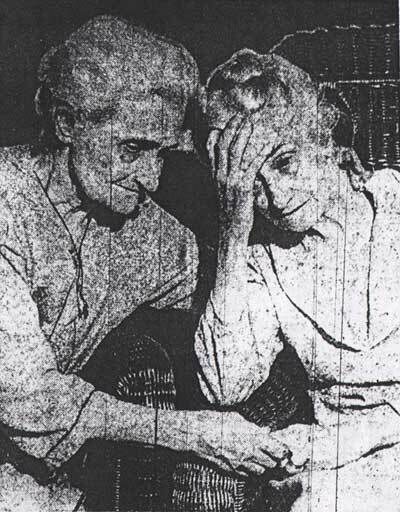 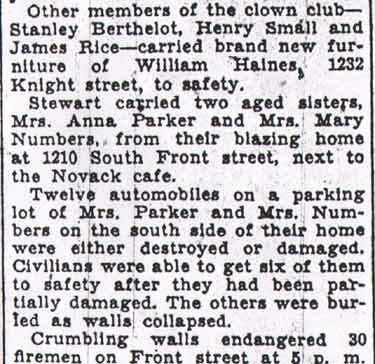 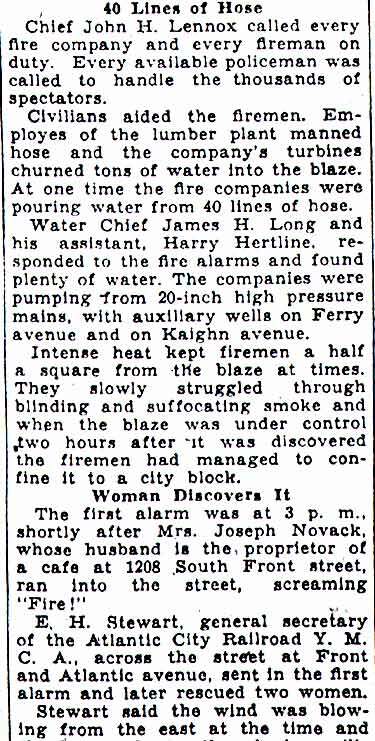 On the very hot day of July 10, 1933, yet another near conflagration occurred at the C.B. 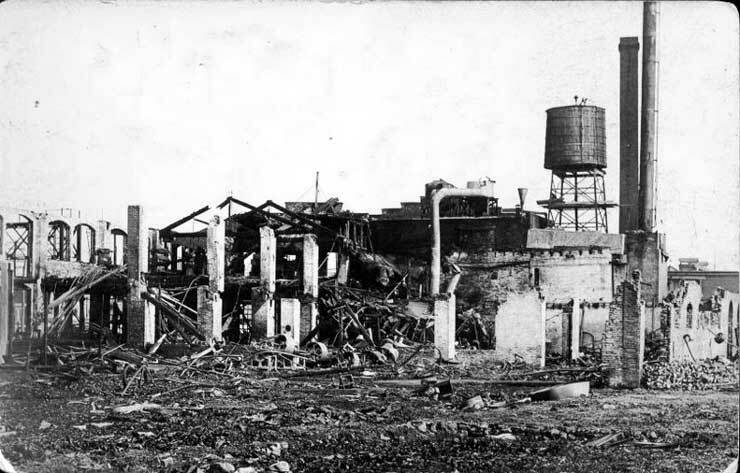 Coles & Sons lumberyard on Kaighn's Point at the Delaware River. 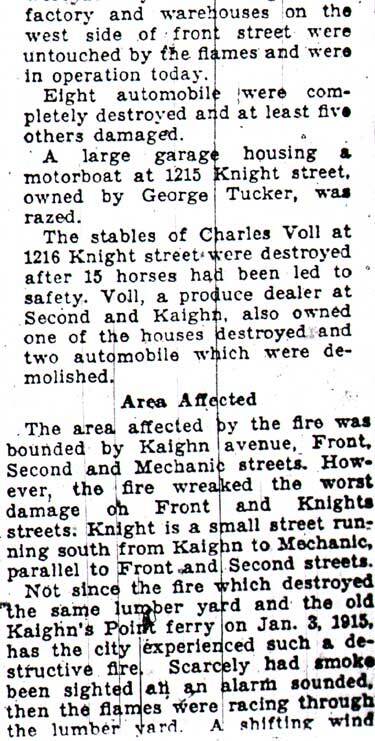 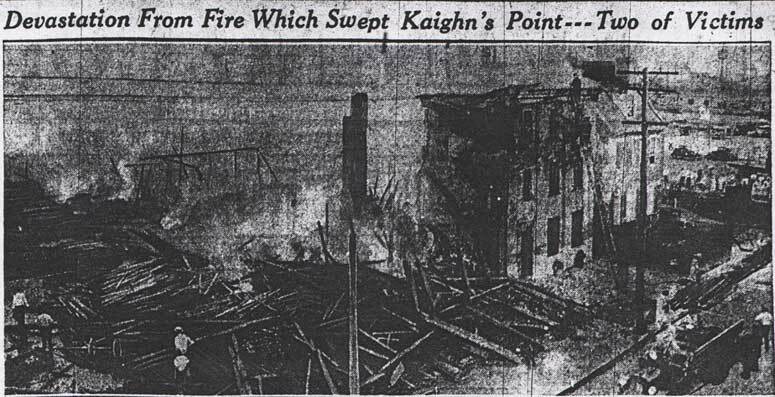 Five alarms from Box 31 were transmitted for a rapidly spreading fire involving an entire block bounded by Front Street, South Second Street, Kaighn Avenue and Mechanic Street. Before the blaze could be controlled, the lumberyard, a warehouse, a row of homes, a stable, a garage, and two colonial houses on Front Street were destroyed. 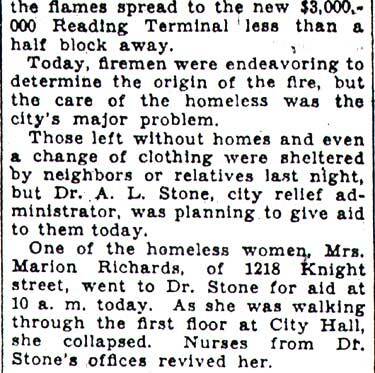 Two firefighters were injured and twenty-three persons were left homeless. 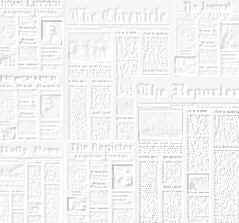 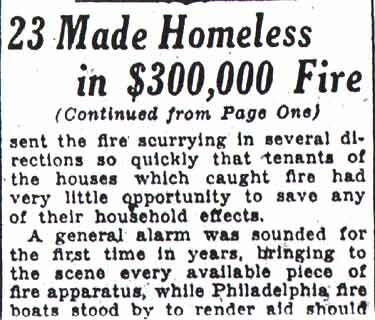 Damage exceeded $300,000. 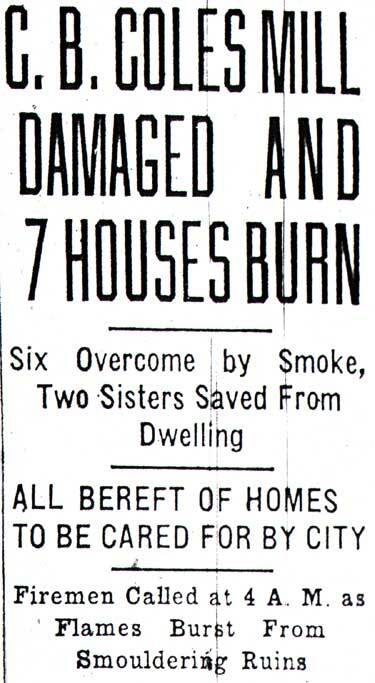 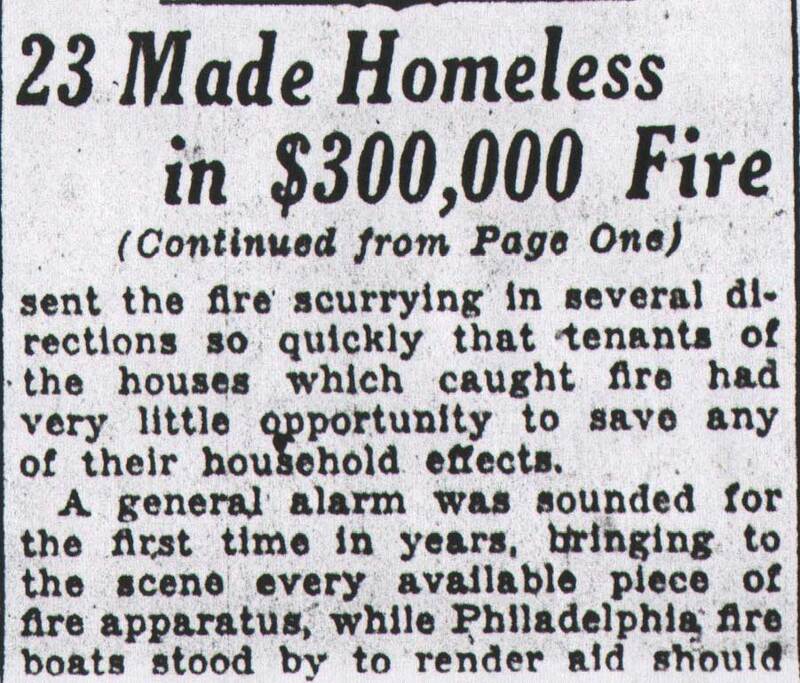 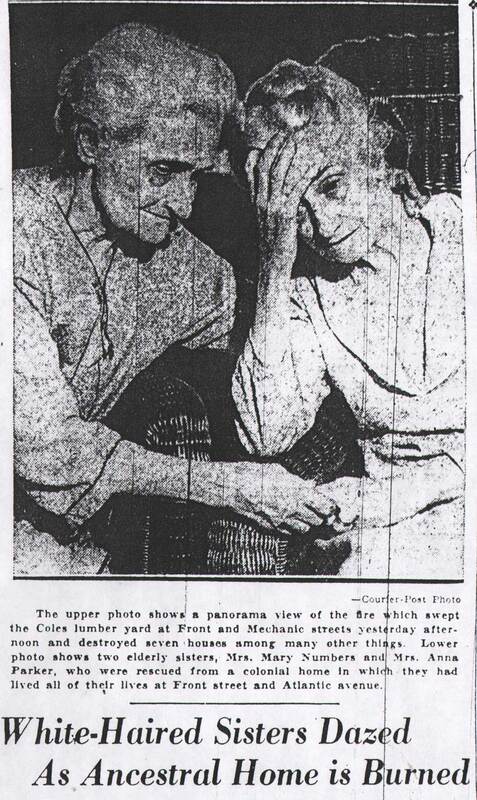 $250,000 FIRE AT CAMDEN, N. J.
CAMDEN, N.J., July 11 — Damage was estimated at more than $250,000 today after a survey of the ruins of a lumber yard, two factory-buildings, and 13 houses, razed by a fire, which demolished an entire city block late yesterday. 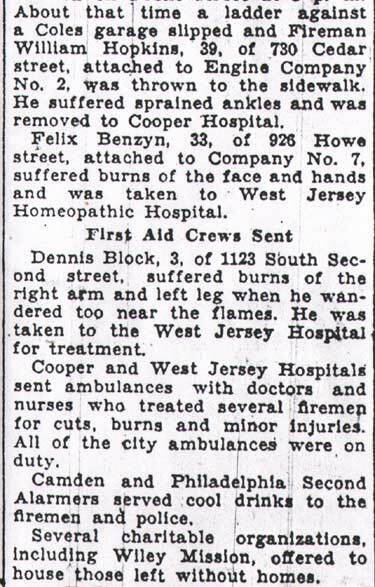 Two firemen, William Hopkins and Felix Bendzyn, were in critical conditions in Cooper hospital of injuries they suffered when they fell from a burning building. 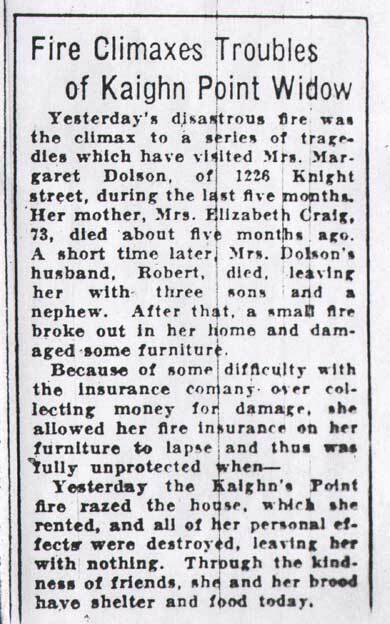 Hopkins sustained a broken spine, while Block received several fractures and internal injuries. 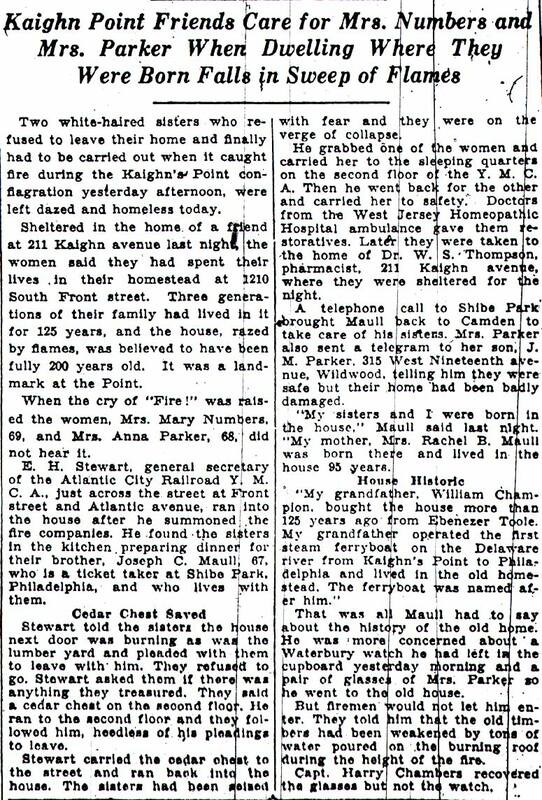 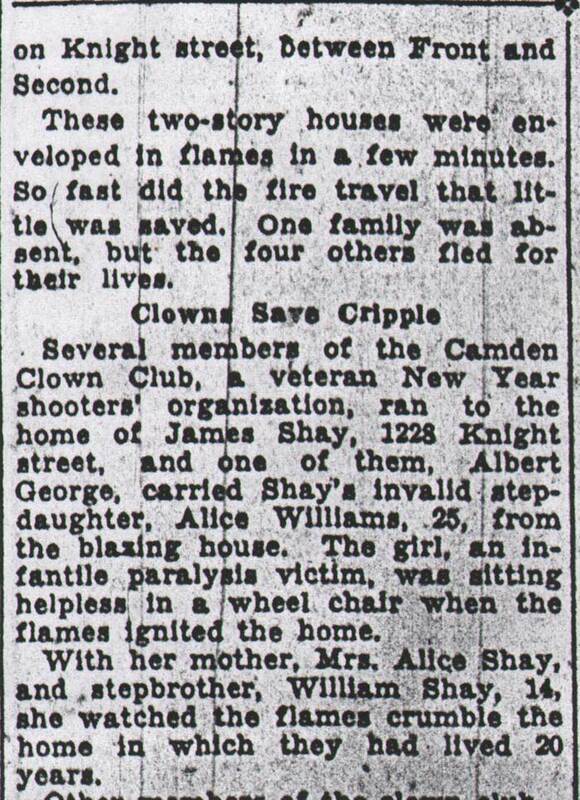 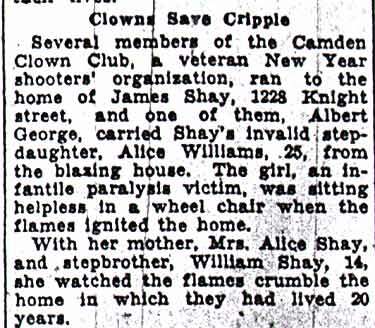 Twenty persons we re made homeless by the blaze, which started in the back yard of a private dwelling, and fanned by a strong wind from the Delaware river, swept across the C. B. Coles & Sons lumber yard.